Contribute to an amazing cause and earn Cain Keys! One of our favorite Cain Club activities is the ability to make a donation to Cain Cares and earn points! It rewards you for giving back to such a great cause. Cain Cares gives us the opportunity to help when help is needed the most. Join us in our mission to give back. 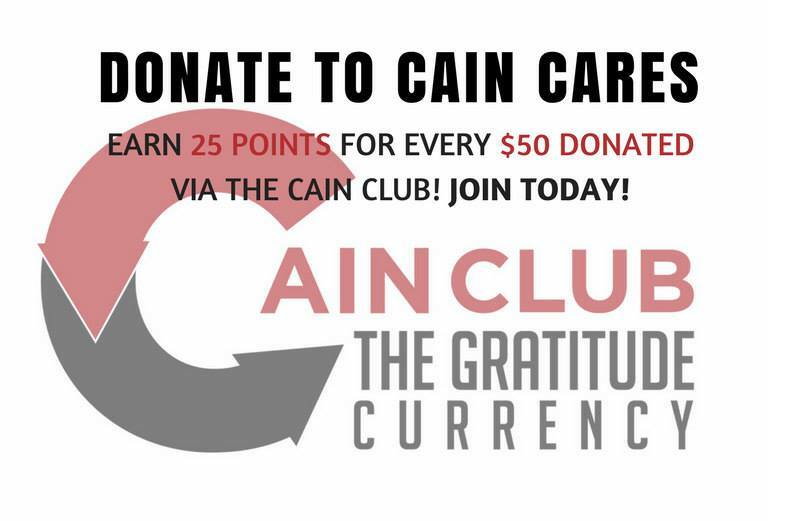 Donate to Cain Cares through our Loyalty Rewards program and receive 25 points for every $50 donated! Not a member? No problem, sign up TODAY and start earning your points towards our awesome prizes!